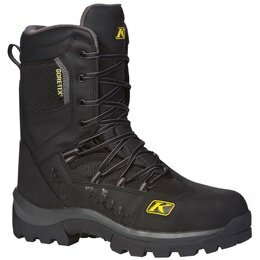 The Adrenaline Boot began the revolution in technical sled-based footwear. Featuring the latest in GOR--TEX and 3M Thinsulate Insulation technology, the Adrenaline offers the highest-activity rider total comfort. 600 Grams of 3M Thinsulate Insulation delivers optimum warmth levels for active days on and off the machine. Adrenaline users constitute the largest population of riders on the snow-riders who demand footwear that keeps their feet dry, comfortable and secure across a wide range of conditions without impeding their freedom of movement.